Molyneux: Microsoft's E3 Conference Was "Unprofessional"
Peter Molyneux thinks that Sony and Microsoft are getting so caught up in out-doing each other that they've forgotten the customers. This year's E3 isn't over yet, but odds are it'll be remembered for the crushing blow Microsoft took to its PR, on which Sony wasted no time in capitalizing. 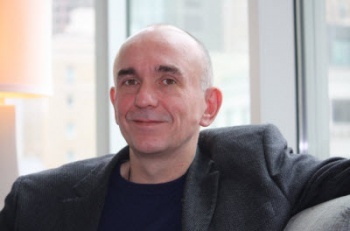 As many gamers start enlisting for the next battle of the Console Wars, industry veteran Peter Molyneux offers his insight on things. Unsurprisingly, he isn't pleased with Microsoft's performance this week - but he isn't ready to give Sony a free pass either. Molyneux (who worked under Microsoft before leaving to join 22 Cans) thinks his former employer's PR nightmare is being caused by poor communication with the customers. "I just think it was very unprofessionally done," he remarked about the Xbox One press conference at E3. "There was one message from [Phil Spencer] and then another message from [Phil Harrison] and they seemed to be kind of shooting from the hip. Always online is simple for me. As a consumer, just show me why I should be always online and I'll be happy with it. At the moment, it just means game sale authentication. I don't want that. But if there's some way you can give a huge benefit for the consumer, and make the message super clear, [it would be accepted]." Going on, Molyneux likened Microsoft and Sony to "two frat houses," playing off one another. He's concerned that the "us or them" attitude at the show is driving away unattached customers - and he may be right.